It is replaced by the Honeywell Hyperion 1300g. Decoding Linear Imager (Keyboard wedge, TTL RS-232 and USB) - Color: Ivory. Cables not included. See accessories. SCANNER ONLY, 1D Linear Imager, IBM Retail. Cables and accessories must be purchased separately. These include USB (Part# 42206161-01E), PS/2 (Part# 42206132-02E), or RS-232 Serial cables (Part# 42206422-01E) and a power supply (Part# 46-00525). Color: Black. SCANNER ONLY, 1D Linear Imager. Cables and accessories must be purchased separately. These include USB (Part# 42206161-01E), PS/2 (Part# 42206132-02E), or RS-232 Serial cables (Part# 42206422-01E) and power supply (Part# 46-00525). Color: Black. SCANNER ONLY, 1D Linear Imager, PS/2. Cables must be purchased separately. PS/2 cable (Part# 42206132-02E). Color: White. SCANNER ONLY, 1D Linear Imager, RS-232. Cables must be purchased separately. These include RS-232 Serial cables (Part# 42206422-01E) and a power supply (Part# 46-00525). Color: White. USB kit, 1D Linear Imager. Includes USB cable. Color: White. 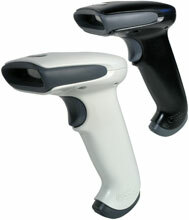 SCANNER ONLY, Linear Imager, High Density. Cables sold separately. UK RS-232 kit, 1D Linear Imager. Includes RS-232 cable and UK power supply. Color: Black. RS-232 kit, 1D Linear Imager. Includes RS-232 cable and power supply. Color: Black. PS/2 kit, 1D Linear Imager. Includes coiled PS/2 cable. Color: Black. UK RS-232 kit, 1D Linear Imager. Includes RS-232 cable and UK power supply. Color: White.